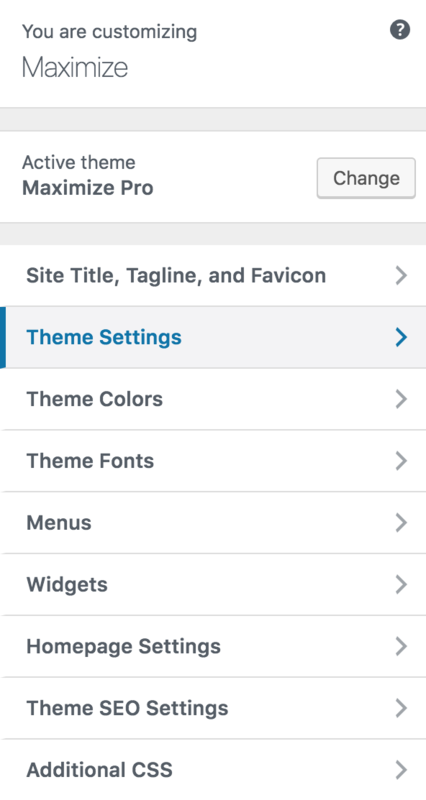 Go to Appearance > Customize > Theme Settings > Logo and Header Settings to edit logo size, layout, and social media menu and search bar placement. Go to Appearance > Customize > Menus to edit your menu. Click on a menu then select the placement. Go to Appearance > Customize > Theme Colors to change your colors. Go to Appearance > Customize > Theme Fonts to change your fonts and font size and font spacing.